Min. Resolution on all frequency range: 1μHz (Min. resolution can reach 1μHz on all frequency range to ensure adjusting accuracy under high frequency. For example, it can output 10.000000000001MHz signal). 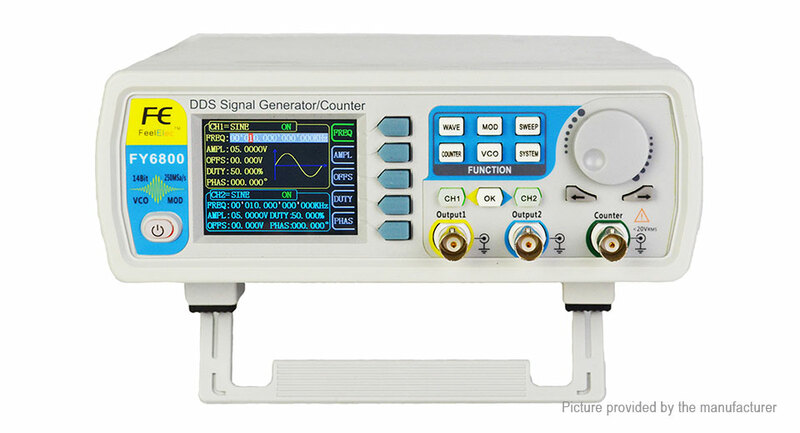 FY6800 user interface displays the parameters and waveforms of the two channels at the same time. Each function has a separate user interface, different contents will be displayed when different functions are enabled. The instrument uses 14-bit high-speed D/A converter chip (5Vpp output quantization error is less than 1mV), 250MSa/s sample rate, 14bits vertical resolution.